Another in my series of simple recipes with lots of variation – a basic spicy, grainy, beer-based mustard that is versatile in all sorts of ways. Hot dogs and sausages, corned beefs sandwiches, encrusted fish, soft pretzels, salad dressing. You name it. Play with the seasonings and alter to your tastes or the final application. 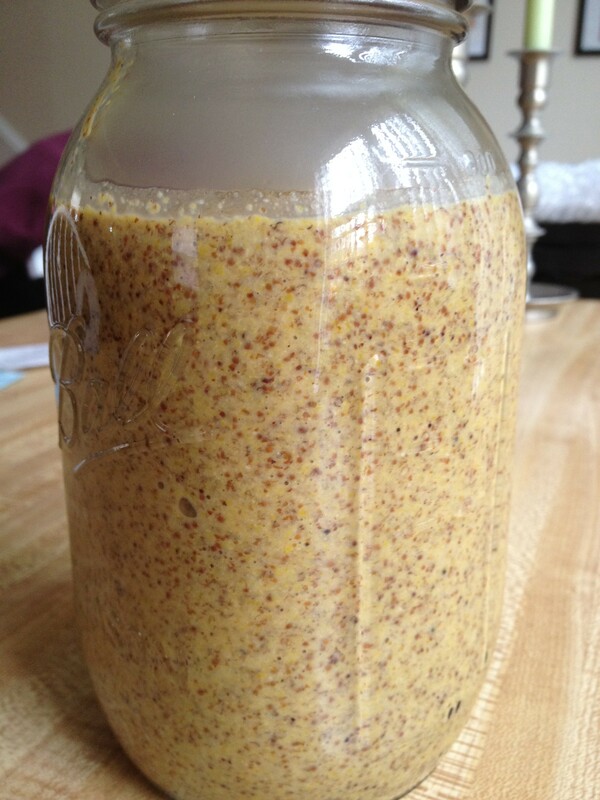 The gist of the recipe is this – put everything in a jar, let it sit for 2 days to soften the mustard seeds, then blend for several minutes to the desired consistency. This recipe’s going to make about 3 cups of mustard, so consider making a 1/2 or 1/3 batch. But, this stuff survives the passage of time quite nicely. Keep in mind, in the first couple of days, this will be pretty intensely spicy and, well, mustardy. After a couple of days it’ll mellow out. My variation for this batch were an old bottle of Bell’s HopSlam – an intense imperial IPA that comes around only once a year, smoked salt, and a few dashes of cayenne. 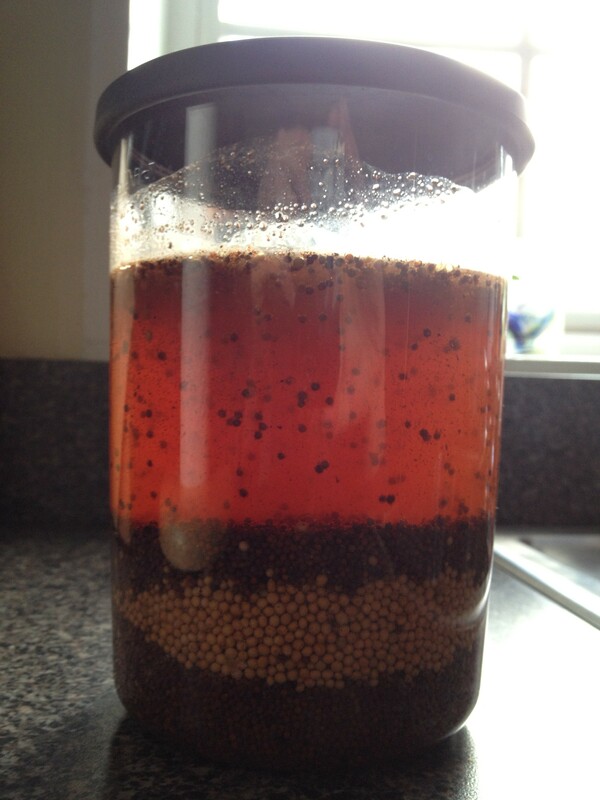 I used about 2/3 brown mustard seeds, and 1/3 yellow. And half the vinegar was cider vinegar for some sweetness and the other half was red wine.